Nikon's booth at CP+ includes Z6 and Z7 cameras running firmware with Eye AF. We tried it out, side-by-side with the Sony a7R III, to see how they compare. Both cameras do a good job of recognizing the subject's eye and sticking with it, even when she covers her face for a period of time. They're similarly fast to find the eye again, afterward. This recognition (and how quickly it re-acquires the eye) is key to the performance of eye-detect AF, as we're already pretty confident about the Z7's ability to focus when requested. We weren't able to keep the images from the Nikon but will put it to the test as soon as we have the new firmware. Correct me if I am wrong but it looks like the higher resolution of Nikon's EVF and display are the trade offs to the overall responsiveness of the system. The eye AF of Nikon could be as responsive as that of Sony's if they have the same resolution (both EVF and display) and refresh rates instead since more processor resources are more devoted to AF calculations than keeping up with what is on the screen at such higher resolutions. Great to see Nikon going for it. I rarely use eye AF but I am liking this kind of 'new' Nikon mindset. I think that z-mount has better future potential than eos-r.
Nikon deserves credit for recognizing what sony already accomplished, and then trying to duplicate it, to the point of even using sony sensors. and the lenses that Nikon released make sense, minus the 58/0.95 of course. I have no idea where canon is going with eos-r.
hey, i'd like to see that Nikon 50/1.8 in e-mount... and we still don't have a 35/1.8 in ff e-mount. There’s the major UK photo Exbn in a couple of weeks where I hope Nikon (and maybe Sony?) will have this comparison running so I can see for myself - I do not realistically expect Nikon to quite match Sony’s eye AF yet, but if it’s ‘good enough’ , that’s fine. Likewise, I shall ask the Nikon guys about the only thing that bugs me about the Z’s , namely the ridiculous way of engaging the equivalent of 3D tracking - and will the update address this. I have no idea whether there’s some technical mirrorless reason, compared to the superb D850 implementation and performance, why it was done this way - I’ll be interested to hear what they say. Sadly there is a big technical difference between the old and the new focusing system. The way to go is a combination of AI object/scene detection, an accurate depth detection (little extra sensor or small camera lens) and extra AI computing units in our DSLMs ( like a lot of new smartphones has already) . Believe me in 2 years no one will ever talk about the old 3D tracking. The new Sony AF is only the begin of what you really can do with AI! Sony is impressive but Nikon is closing the gap quite fast. The gap will fluctuate in short spans but over time, both Canon and Nikon will close the gap then surpass Sony. We shall see how L mount works out. Everyone raved about Sony's 400mm 2.8 a while back. And then you can fit all your Sony lenses onto a Zed mount with this adaptor https://nikonrumors.com/2019/02/25/techart-tze-nikon-z-mount-to-sony-e-mount-adapter-demos-videos.aspx/ Sony will only get bigger when they change to a bigger mount. putting sony glass on a z-mount body that already has inferior af is not a solution to anything... it's just compounding existing Nikon af issues with weak 3rd-party signal translation problems. the "bigger lens mount" has not been utilized, it's nothing more than marketing hype. Wow ans Sony fan boys have claimed for years that adaptors work perfectly. How times change. and there you are inferring that 3rd-party adapters work perfectly on Nikon. I do actually own a Nikon Milc, I never said the 3rd party work perfectly READ MY WORDS And then you can fit all your Sony lenses onto a Zed mount with this adaptor. Also, adapting Sony lenses to the Z body is kind of dumb...only to say Sony lenses are better than the Nikon when we all know who is the one behind fabricating the sensors....unlike adapting Canon lenses, which give the Canon folks a taste of the Sony sensors. btw, I'm a fan boy of all brands... coz I use and own pretty much most major brand and used them in different professional settings. And the Stepping machines that are used to make those sensors are made by Nikon...Which came first, the chicken or the egg? Orz.....I guess you guys just proofed who are the fan boys XD I just mention who "FABRICATE" the sensors, which is fact. No need to get defensive. Did I say anything bad about the Nikon camera body design, lens design, sensor performance and Nikon IQ? Not that I can think of. @ cisnucbide.....why are we still circling around this..does it really matter? We can talk about the full history of each camera brand to no end. What matter now is if Nikon can sell enough camera to sustain the future. Sales figure have nothing to do with how good the product they develop. If the Sales and Marketing team can't translate all those into revenue. Which is just paper weight at the end. So far the favor is not on Nikon side. And thats a fact as well. The board of Nikon and a lot of the Nikon users should really look into the reality and to figure out what went wrong. I don't think Cosmicnode or I are defensive, just pointing out facts to balance out your comment, so that anyone reading this gets the full understanding of how the industry works. This for real is my last respond to this topic. How this industry work is (and properly all electronic products now a day)..really..is put together parts from global supplier, take advantage of others expertise and then put in their own uniqueness on either cosmetically and/or on the software side. The design/tweaking part is very minimum, as a lot of things are protected by patents. Thats why the longest argument between Sony and Nikon is how it's handle, how shxtty is the menu system, the color science ...but only a tiny little bit is on the actual image quality (except Canon which is really lagging behind with their own manufacturing/fabrication)....because at the end of the day a lot of them are brothers/sisters/cousins under the hood. If Nikon keep thinking its good enough to build good quality products in their own standard and keep misinterpret the market. The downward trend of their sales will never turn around. It's a mindset problem, not the product's problem. no changes in riding sony for several years, and this is where nikon and canon will catch up. Thanks for diving into an article about eye AF to tell us you aren't interested... and here I was thinking DPR couldn't get any better! No to eye-AF? It's your loss, not mine. I've been saying the same about autofocus. It's a gimmick and nothing more. All those years I even didn't have autofocus and still managed to take some nice portraits. I remember when cameras didn't exist, back when we made images with paint and canvas and still managed to make some nice portraits. ...and when we got home, our father would kill us and dance on our grave, singing hallelujah. congratulations for blowing 5-10k on a very advanced camera system with the most modern technology that you clearly don't need just to take a couple on nice portraits. I only need a stick and a cave wall. As long as the stick comes with 2 card slots and an optional vertical grip. Can Z6/7 track by Eye when the subject is moving is the question. The model in Richard’s test here was sitting down and the only thing moving was her face. Also I did not gather how the feature works, do you have to press and hold the button like in Sony prior to upcoming Firmware 5.0, or it will look for an eye without you having to press any buttons? Finally is the new EYE AF only going to be available when Z7/6 is in wide area mode, or it can be like Sony/Olympus/Fuji irrespective of area mode, it will look for it? Competition is good. Glad to see Nikon's upcoming firmware update is catching up the game. Would love to see how the Nikon do in the moving subjects tracking ability. "It would be much better if they can remain humble (as they already have a 100 years of camera making history...just saying..:P), not looking down to the others and most importantly not over hyping their products...."
You do realize that this whole comment section is filled with Sony paid trolls don't you? But you know that's part of the fun of the competitions. OK rationalize all you want and make excuses for the trolls. Nikon has face section since forever and it wasn't mentioned over the years. With Nikon dslr you have 3d tracking and that worked great for the eyes. But this is a milc and you need it more as there is no 3d tracking. It is another way of doing the same thing, this would be easier or less effort. Don’t forget about IBIS, it’s suddenly a must have. It's not! Good that it's been introduced by another brand other than Sony but it is definitily not very important! Seriously, you all are just nuts ! The question is, who will buy into Sonys infrastructure (Jack of all trades, master of none)? Or buy into a true camera company? While Eye focus is not important at all for me and I already have that in my Sony A7r II but hardly use it, it's great to see Nikon doing all kind of development and giving user firmware updated to improve their existing product. they still have a lot more work to do though, I know I will continue to use my Nikon DSLR D850 and D500 and will buy a high end Z body when it arrives, A7R II likely be my last Sony but I like my Loxia lenses so I hope Sony will bring out a larger body with a better ergo then I will upgrade too. @Golan Ziv, I am no fan of A7R III ( due to control layout) but really you find A7R III image quality below the Z7 that you can actually see the difference?? seriously?? and in my experience, the Z7 's focus system not even at the same league as the A7R III, that's besides the EYE-Focus capabilities. @Golan Ziv, I see, I have not shot Jpeg for over 10 years so I am not qualify to make any comments on that. I have played with both Z7 and A7R III myself quite a bit when shoot out with friends, I personally think the A7R III is in totally different league, no need to call me a Sony fanatic as I don't like Sony in general and prefer Nikon that's why I brought a D850 instead of a A7R III and also own D500 and waiting for D6, and D3 and D300 owner before and i can trace all te way back to FM2 and 8008 and F4 days......but just the focusing system, the buffer, the single card slot..... makes the A7R III so far ahead, but again I didn't like the Sony ergonomics so I decided to just stick with my old 7RII on the Sony side so I can continue to use all the Zeiss Loxia and Voigtlander primes, and went with the D850 with vertical grip on the Nikon side instead of the any Z.
Nikon has a lot to catch up but they are working on it which is very good. What Nikon does, when its further away and couldn't recognise eye; could be improved over time with future firmware yes. But otherwise as long as at that distance it's recognising face, it should be good enough in most of the scenarios at that wide level, having your focus point at face is all you need, due to DOF on those focal lengths, or the distance from the subject. Remember, Dof is shallower when you are closer to the subject. All in all, I won't consider it as a cons, as long as the feature is implemented. That is the thing. Sony tries to impress people by constantly drawing a marker that it has recognized an eye, regardless is the whole face inside a DOF. Others will simply set eye recognition to standby when the recognized face is smaller as face size in frame is defining the DOF per format. So why to put more resources for the eye detection if the both eyes would fall in DOF? At this point its a close race, what means that Nikon is really doing its best to catch up. I wonder what there awser will be on the new Live Eye-AF that comes with the next Firmware update to Sony. Seeing how much they already added since the release of the Z 7 and Z 6, Nikon users know they will be in the game and can expect futher improvements! *added: I love to see both compagnies push the boundries of their systems. The truth is that Nikon's video AF, liveview and eye AF in a single try became one of the best (Sony is probably the best yet) among FF mirrorless cameras. And that makes Nikon one of most future oriented companies. Sony will remain to be a leader in FF ML segment, but Nikon may become one of preferred choices too and with its traditionally strong DSLR segment Nikon just did what it needs to be a modern camera company. Great improvement for Nikon's usability! This sort of think is what is going to start steer away from cheaper DSLRs options. Exciting for Nikon users! "The Sony was able to focus on the eye from further away." Showing focus on screen and actually having photos with eye in focus are different things. There are times that my old Sony A7 showed that the eyes were in focus but the final images weren’t. Although happens rarely, it does happen. Now I wonder why Nikon didn’t allow DPR to keep the photographs for analysis as mentioned in the post. Maybe it’s because of this reason? It is still beta, as I understand. The new firmware is yet to be released. aawww so sweet and childish! Smaller size not always is a plus, I always keep the extension grip on my A7RIII, simply cannot use it with my pinky below the battery compartment. Other users may see it different, obviously, but the force I make with all the fingers and the stability of the camera is totally different, even more if I use big teles. @Strolic Furlan I use a wrist strap for most of my cameras, but I agree a bit more grip helps. What do you mean? Why should the X-T3 not be able to output RAW files? He means video RAW output. Good that things are getting accurate but eye AF can screw up in some multiple person shots. It doesn't know if you want the bride or groom's eye in focus. It would be handy to be able to assign eye af to a different button so it is engaged only when it makes sense. @stonejack - without taking your eye off viewfinder? I would consider this an uninteresting test. The subject really isn’t moving much. It’s just really a question of whether the camera can detect the eye. Start at 2:25 if you want to cut to the chase. I don't believe your wide aperture, Narrow DOF have sharp eyes unless your placing your AF point on the eyeball. Or your portraits are not wide aperture. This is physics. Sure. The lens seems amazingly fast to focus. But simply the tracking ability demonstrated in the video shows the kind of movement in subject you need to compare the currently best iteration of EyeAF with the new guys. I know DPR was very limited in what they were allowed to do. (I’m surprised Nikon even let them point a Sony at their model). But someone waving their hand in front of a basically stationary eye isn’t really a tough test anymore. Can’t wait for this FW update even though I probably won’t buy the 135mm F1.8 lens shown here. I expect the tracking to perform very well with the 70-200. I like that Nikon's eye AF box, by showing a triangle pointing to the eye not selected, seem to imply that the other eye can be selected via the joystick or 4 way controller. With my Sony A7ii or A6300 I am not able to manually choose the other eye on the fly. That's a pretty poor test imo. Since I have both cameras and have tested them back to back with dozens of lenses, manufacture options, third party, adapted and native, I can tell you that in real life the Z7 trails behind the Sony. In real life with subjects moving around toward and further from the sensor, not just horizontally along the plane of focus as demonstrated here (which is nothing spectacular, my 'old' A7R2 would have no issue holding focus with the test in the video), the 7R3 wallops the Z7. I'd like to see how the two cameras fare with a subject/scene that will really test the performance out with an image sequence to test not what the camera says it will focus on, but what it will actually deliver. This test with the A9 with its newest firmware would be even better, just to show how good/bad the 7R3 & Z7 are in relation to what I think is the benchmark. Seem like a pretty consistent test to me as they are tested in concurrently in the same setting for the scenario. The test is as fair as it can be. It not extensive because z is alpha/beta mode and they won't given the chance. It will be logical that Sony will be better, but from the look of things, Nikon seem to be doing well. Trails by how much? Quarter of a second? Half a second? A full second? Please don't say 2 seconds because I was really thinking about buying one of these. icic, there's A LOT more to AF then a person sitting (relatively) still in a chair. Whilst some criticism of Nikon was warranted when the Z6 and Z7 were released it's refreshing to see Nikon refining the product and actually see tangible improvements. If the purported AF improvements are also good, the Z6 will definitely be a lot closer to the A7III other than dual cards and lack of a real battery grip option. Don't forget it counters with higher res EVF and LCD and even superior 4K and better size. Now where are Canon's improvements for the R? Still waiting to see the eye-AF update for AF-C mode. Your mileage may vary: i am ok with the Nikon evf. The evfs on both your choices are much superior to the A7-3s. Sounds like a plan. The viewfinder isn’t laggy. It runs at a constant 60 FPS which is slower than the competition and may be perceived as lag. Personally I ended up much preferring the Z6 to the A7iii. The Z6 maintains its high resolution at all times and for me consistency is king. The A7iii varies it’s resolution in order to keep the frame rate up so the already relatively low resolution gets even worse if there’s a lot of action. I don’t see how anyone could prefer the A7. Not only is the resolution lower but the colours are not as nice, the magnification is lower and it is not as sharp or well corrected. For me there was no comparison once I actually compared them. The viewfinder is very important to me (spoiled by Nikon F3HP for many many years) and the Z6 viewfinder is a major advantage and to me was easily worth the disadvantage it has in AF-C. It seemed to me that the Nikon selected the closer eye more often, but otherwise they seemed pretty equal. Sad to see Nikon reduced to copying Sony, yet always a step or two behind! What next? A clip-on 2nd card slot? Sad to see them both reduced to copying Olympus with IBIS. What's next, IBIS based frame stacking like Pentax? Woops too late. Minolta also had ibis in the a1 in 2003. Yes Minolta introduced the first DSLR with IBIS - the 7D in 2004. Sony also put IBIS in a DSLR before Olympus. It was in the first Sony DSLR - the A100 in 2006. It didn't appear in an Olympus camera until the E510 in 2007. Sony also introduced the first FF camera with IBIS - the A900 in 2008. People are complaining that a manufacturer doesn't offer a feature (Eye AF, IBIS or whatever) that they think should be in every camera. When the manufacturer does add this feature to their cameras, it's sad because they are just copying someone else. Damned if you do, damned if you don't. One may say that it's sad to see Sony copying Nikon, since Nikon made cameras long before Sony bought Minolta and became a camera manufacturer. Still pointless, though. Joined on Feb 28, 2019"
When you cannot disprove the message, attack the poster. Anyone who says 'the IQ of the A7RIII is not excellent' is either lying or lying in a rubber room. @Qui Tam "What next? A clip-on 2nd card slot?" Well said. I thin it's safe to say, anyone who says the IQ of the A7RIII is superior without having used both as you have Golan, is either lying or lying in a rubber room. Learn to read Max. I didn't say anything about the image quality of the A7rIII versus the Z7, I disputed Golan Zivs ridiculous claim that the 'IQ of the A7RIII is not excellent'. The image quality of that camera IS excellent. Didn't mention Nikon at all. Good, you finally admit the Nikon has better IQ. I have no idea whether it has or not because I've never used it, but DPR in their review gave the Z7 a slightly higher score for raw image quality (vs A7rIII) and a slightly lower score vs A7rIII for jpeg quality and I've got no reason to disbelieve them. The Z7 should have slightly better IQ than the A7rIII since it has more resolution. Id say the Nikon was the clear winner, more consistent, more accurate. The sony saw the face from farther away but in those cases the DOF is wider making little difference. Clear win for Nikon. sony had working eyeaf further away, where Nikon af totally failed to recognize the eye at the same distance, see 0:39.
that worst-case scenario indicates better eyeaf for sony than Nikon in most all situations. Clearly you didn't read my post. Yes as i said the Sony locked the eye further away but at what distances? Look at the guy behind the counter, is the DOF really thin enough to make a face lock inaccurate? Nope. At greater distances, as i also said above, DOF is wide enough to make eye tracking not necessary. Faster lenses will offer thinner DOF but even at what, an f1 setting at that distance, the entire face will be within the focal plane. Sony identifying an eye at such a small subject size doesn't help at all. Win Nikon. clearly you didn't read my post, much less look at the video... sony didn't "see the face", sony saw the EYE further away, at 0:39, while Nikon did NOT see the eye, at that same distance. obvious win for sony, Nikon eyeaf totally failed, because it is inferior. if Nikon fails there, it will likely fail at other distances as well. dof is irrelevant of course, because both cameras were side by side at the same distance. Nikon seem to do better with the prioritisation of the eyes and Sony does better seeing further. If I have to choose one, I would go for the prioritisation, as eye detection becomes less useful for further way subjects where the dof will be sufficient to cover the profile length of the subject. "Sony identifying an eye at such a small subject size doesn't help at all. Win Nikon." That's hilarious. Why would it be unhelpful to have an in focus when the subject is 'small'? "Id say the Nikon was the clear winner" Well, not yet. More meaningful tests must be made to determine if Nikon is really able to match or even surpass Sony's already superior Eye AF system especially tracking the eye from a distance. However, it looks promising upon the first impression. @rubber ducky, bc in this case the subject is human, and for their head to be so small it means they are far away, which also means thin DOF isnt the limiting factor. At that distance the DOF of even fast lenses is sufficient to cover an entire face, not just the eyes. Reilly Diefenbach - in another thread, MILCBot was banging on about :49 in the clip until he realised much later that he actually meant :39. Epic fail on his part, he failed to focus on this just from a distance to his computer screen. His controller at Sony will not be best pleased. Can tell you're an M43 user. Unfortunately on an A7rIII or an Z7 the 'DOF of even fast lenses' isn't at all 'sufficient to cover an entire face'. Nothing like. Also how can achieving focus be unhelpful? Even if something is not needed that doesn't make it unhelpful. You don't get to group me into any category. I have owned FF 3 different times, apsc even more. I have used as fast as f1.8 on FF so i have an idea what it's like to manage thin DOF. I have also used as fast as f/0.95 on MFT which offers the same DOF as f/1.9 on FF. And portraits are what i shoot 95% of the time, so i also have an idea how those thing DOFs apply to eyes and faces. Play semantics all you want, the point is once the DOF is sufficient to cover the entire face, being able to isolate just the eye isn't necessary. Having more accurate and consistent eye/face tracking is far more useful, and Nikon has proven more accurate and consistent than Sony's in that demonstration. Enjoy your Sonys dude, but the Nikon clearly won. Well just from that video my impression is the Nikon seems pretty good, and in some of those sequences grabbed and held focus more stably. The Sony had a box over the eye in one case but the face was OOF for a few seconds whereas the Nikon locked on and got focus. Still will be good to see 100% crops after the shipping fw. It’s not the Sony camera that is OOF, its the camera filming the Sony that don’t hold focus. Watch all the information on the Sony screen getting OOF as well. If anything, I would want the box to be bigger as you can see the details of the eyes. Any overlay would obstruct that. Why did they make that poor model hold an enormous teddy bear? To show that the camera will not accidentally lock onto fake eyes? 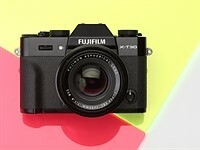 Many mirrorless cameras already have eye AF. It improves with almost every iteration of model or FW. Jim Kasson found that when DoF is too thin Sony doesn't focus on the iris, but instead the tip of the eye lash. It could be the same with other cameras too. But Sony doesn't let you adjust focus like Nikon does. So be careful with very shallow DoF. you can read more about a7riii af on the sony page: "The [a7riii] AF algorithm inherited from the α9 accounts for two times more precise AF tracking for continuous shooting, even of complex or sudden movement." and wrong, btw, milc af does not need to adjusted. If the Sony is focusing on eyelashes like many people are reporting including Jim ( who has posted test results and examples), then, yes, being able to adjust focus in that situation would be a benefit. DPR should do such torture test that a person is fast moving, fast rotating, fast jumping up/down, left/right in/out frame and quickly moving forward and backward and from some distance. Don't forget big FW 5/6 update for A9 and FW 3 for A7r III and A7 III will be released in these two months to further improve already excellent Sony eye-AF with real-time eye-AF. Start at 2'29", believe still quite a gap compared to the best Sony eye-AF especially if person is fast moving or from distance. Sure they would want to, but Nikon is just in test mode. Eye tracking is one thing but focus accuracy is key. I await the promised test. Well, that is in fact the more interesting question. Yep. Same reaction. Plenty of cameras (even ones with a bad reputation for focus) do a good job of keep the box around the face/eye. However, that doesn't mean the camera was able to actually focus on it. I like the Sony 0.75pt line thickness of the box vs the Nikon 0.5pt. I like the way they both flicker around. Why does it have to be a box, and not a circle? But I want a dot dash box, solid lines are so 2018. Panasonic's is the best, it's a green crosshair on the chosen eye, with a yellow box around the entire face. To avoid pixelization. It's impossible to alias a circle on an overlay because there is no intermediate colour. I guess I should not be surprised that so many seem to be angry that Nikon has shown a real improvement in AF performance. It seems that the competing brands have very productive troll farms. Please stop with the ridiculous conspiracy theory thing. Conspiracy theories brought us Trump and that is already enough isn't it. There is no such thing as a Sony, Nikon or Canon troll farm around here. Let's get real, how critical is it exactly to influence the bunch of old farts that makes the audience here at DPR? The answer is easy: not very much. We are just a bunch of people arguing about my camera is better than yours because well, there is not much fun to be had around here in our old days. why is that so difficult to believe that marketing troll farms exist? DPR is an Amazon subsidiary what shows up here matters > than you think. You got people making a $1k/day playing video games on youtube, that's pretty unbelievable. Every time people mention troll farms boy, do they never point me to one. Hey I'm not picky, money's money, but these people either don't want workers or don't exist. Curious how that works. Does that mean that Pentax has a ragingdefenders farm? That'd make more sense honestly. You were partially correct, Nikon and Canon do not have a troll farm, Sony has been sighted numerous times in the gaming forums for having troll farms. So why not camera trolls? because honestly the customer base for such cameras has shrunk to almost nothing. It would make no economical sense to maintain a herd of trolls just to influence such a small number of people. I don't know about the gaming business but it's a far bigger market so I agree everything is possible there. The proliferation of angry trolls provokes the ironic question of their origins. I should have said " Makes one wonder if the competing brands have troll farms." Your moving the goal post. You said that it was not true. I stated that Sony does in fact use troll farms as they’ve been caught numerous times in gaming forums doing just that. Why they would waste there time is not for me to answer. The point is that every time there is a Nikon article the same players come out to troll, and if they are not the same trollers, you look at the their history and you find that they just joined, and have only posted negative comments in the Nikon articles. It costs Sony pennies to pay troll farms in China. What Nikon and Canon posters refer to as trolling is generally mockery. And it tends to be confined to the comments sections that are laxly moderated. Sony gets trolling in its user forums. When you see a post complaining about a Sony camera that includes 'A7III' and 'A73' in the same headline so that it can be found by two different search strings you know there is professional trolling going on. @NexLupus: I think you’re seeing stuff that doesn’t exist. I can also point you to recently joined weirdos who troll on Sony articles, too. These are just people with far too much time and money. You’ve been watching too much mission: impossible here. If I can make money out of it, I want to be a farm Troll. Anyone listening? Nikon owner here for hiring! Troll farms exist in China. It is a known fact. It is funny you people in the West argue about it. Just google 五毛 (literally means 50 cents) and you will see they exist. The reason I didn't buy a Sony, Sony trolls. It appears one of the Canon trolls has revealed him/herself. Exactly El Diablo - Wealthy, bored American retirement home members are much more commonplace around here than Chinese trolls. People here should tolerate a bit more criticism before calling out conspiracies. Why would it be a major conspiracy to point to a company that has a history of hired trolls. A company that has been caught numerous times using those underhanded tactics to negatively influence the tone in the comments section of competitor articles. Believe what you want, you are free to do so, but I will err on the side of how that company has comported itself in the past. You've not thought this through. If Sony was astroturfing Canon for example the Canon forums would be rife with posts from bogus users complaining about how their gear failed. They are not. Sony forums on the other hand are and have been for years. Also established brands are not 'trolled' by market entrants. That doesn't work, because they have no clout - it's the other way round - dominant companies discredit entrants. You could possibly argue that now Sony is dominant in FF and mirrorless they may use black marketing against Canon and Nikon but there's no sign of that happening yet. Well, they are both way better at it than I am. The further you get away from a subject, the less difference there will be between achieving focus on the eye and achieving focus on the face (as DOF increases). "further away from the subject" in terms of what, exactly? you can see it clearly at :49, where the Nikon z camera fails to recognize eyeaf, while the a7riii does. @MILC, there is a point to that statement. The precision of the AF motor, the DoF and more all factor in. The fact that sony recognizes the eye further away is a good thing and I hope it correlates to the motor AF step size. correcting my earlier post, the z7 failed to acquire eyeaf at :39, not :49. What MILC man didnt understand was as distance increases DOF is large enough that EYE-AF is not required and just focussing on the FACE will give the same result, regardless of what camera you use. what vzlnc didn't understand is that the sony a7riii ability to utilize eyeaf better than Nikon does, at the same distance, will translate to superior eyeaf performance in most all other scenarios. and indeed, subject recognition is what sony animal eyeaf is all about... it's the next level in eyeaf. Sure, the A7 does better at recognising an eye in that demo'd situation. But the point is that in that example it wouldn't make a difference because the entire face would likely be in focus when you take a shot. So there is no need to hit the OK button to start tracking the eyes? No. Even with the existing face detection, there is no need to hit the OK button. The OK button is only to manually identify objects to track. This does not apply if the camera can automatically identify objects. Having to push OK to manually select and deselect tracking is terrible. If you frequently track non-face or non-eye objects, I would not recommend the Z6 or Z7 until this is updated. It is one of those features... when it exists in the camera, it may not necessarily increase sales. But when it doesn't, definitely decreases some sales - whether due to real need or just bad publicity. I was planning to buy a camera last year but was debating between a Nikon DSLR (for the lenses and better C-AF) and the Z (lot of things to like) and the A7 (only because of the Eye-AF). Things turned another direction and I have to wait a year before I can buy a new camera but I am liking what Nikon has done in the recent weeks. With this Eye AF and the f/2.8 lenses announced, the balance has definitely tilted towards the Z.
the main decision is buying into a new camera SYSTEM with it's lens and flash line. In the past (film days), the life cycle of a body was about 10 years, and now it is about 2 years. And many things can be improved by software/firmware updates in existing bodies. It's a decision of marketing politics/branding of a company to keep camera bodies up to date and even improve them by new features with firmware updates (like improved eye AF). Fuji understood this. Shutter speeds for Sony and Nikon were significantly different according to the video. Would that affect eye focus speed, accuracy and acquisition distance under these lighting conditions? No, the aperture and focal lengths are the same, so it could be assumed that both sensors are getting similar amounts of light to work with. did you mean: “...quickly it acquires the eye...”? "...quickly it re-acquires the eye." Thanks for highlighting it for me (we're many time zones away from anyone able to sub-edit before publication). at 34s both camera say they locked onto an eye, while the whole face is covered by a hand. I believe the idea is that if the eye gets temporarily covered, the camera is supposed to be smart enough to predict where it still is to reduce any lag of re-acquisition once the eye becomes visible again. Ideally you won't be snapping the photo if the eye gets covered up (in most situations, anyway) so this would be a good thing. Very similar... which I'd expect. Really good odds the algorithm behind both is literally the same, with minor differences in parameter choices. There are a lot of subsystems that are used across multiple camera brands. For example, Sony's DRO and Nikon's D-Lighting started out as the same algorithm (purchased from a 3rd company). Given the Nikons are using a Sony-built sensor, I wouldn't be at all surprised if the basic eye AF algorithm was part of the sensor deal. I thought the same. Furthermore Sonys newest phone got eye af as well. Since Imaging Products and Mobile Communications are different subsidiaries it would make sense, that there might be some sensor+alogrithm deal. At least 3rd generation for sony and 1rst for Nikon. Why would you expect them to be the same? keeponkeepingon: Because Nikon is basically copying what's been done with Sony sensors using a sensor made by Sony. Even if Sony didn't share IP for the eye AF algorithm, they certainly did share the sensor interface and reverse engineering Sony's algorithm would not be hard -- I'd bet it's a straightforward NN (or two: first find face, then eye in face) + some logic for smoothly adjusting focus. Incidentally, it does look like the Nikon version falls back to face detection faster than Sony does and also gets lost faster when the face turns... so Nikon still has some parameters to tweak -- but this is a pre-release demo. Thank you for that explanation Prof Hank. Very interesting. It seems that algorithm development offers a new battle line along which camera companies can compete. Very much to the benefit of users and the utility of these devices. It's a great time to be a photographer. You do realise that separate companies build and sell sensors as build and sell cameras within Sony organisation. And said company is probably not in the habit of selling years of r & d features that give them their competitive advantage to their competitors? Certainly not if they plan to be around for long. Nikon buys sensors from Sony semiconductors. In all other aspects of camera development, they are competitors. Pretty impressive. Good work Nikon! Great job. Looks like Nikon 1.1 has already caught Sony 3.1. @Nekrosoft13 - Well it was nice to see Sony catch up with Minolta. no, these are not dslrs, ospdaf works better at wider apertures, and no, the Nikon didn't show a bit better about anything. Jeesh, defensive much! The Nikon appears to do every bit as good as the Sony. Nothing to get upset about. The video clearly show when camera is a far away from the model, Z7 unable to get eye but only face detection. Also this is not the extreme situation as the model didn't move fast. They should use F1.4 fast lens and test when the model is moving fast, rotating, turning backward and forward, jumping up and down, left and right out of frame and coming back...in extreme situation, and also how long distance the camera is still able to detect eyes. MamiyaMax - it was only a matter of time before members of the fully paid up Sony internet band of non-entities turned up with references/links coming out of their ears - they could empty a room at a party faster than a bad smell. The good thing is that everyone can decide on the video... for me the Nikon was a bit more spot on. @vscd - "f2.8 is a bit easier to do." no, that's you not knowing how cameras work. it has nothing to do with z7 vs. a7riii. beyond that, z7 failing to register eyeaf at longer distances shows that it's not ready for prime time. Vscd - I know it’s the age we live in with faceless keyboard warriors etc but it’s beyond me why anyone would spend their time in a thread/forum that has no interest for them (unless doing a bit of genuine research) just to try and defend ‘their brand” and/or knock another brand. I have zero interest in Sony cameras so why would I even bother going into a thread about them? Second that. I can enjoy the fact that Nikon and maybe Canon will be soon on par with some of the Sony-features. But it seems that some Sonyusers lost their confidence on that. Maybe it's because the specs were the only reason to buy into that system and now they fall bit by bit. Literally. @StevieF - "I have zero interest in Sony cameras so why would I even bother going into a thread about them?" good question, why are you constantly posting to this a7riii af comparison? is it because you feel insecure about Nikon af? that's understandable, it's clearly not up to the sony level of af, see the way that nikon fails to register eyeaf at :49, where the sony camera clearly does. why does vscd keep trying to make false claims about it? hilarious. MILC - well, y’know, Im interested in the comments about the Z eye-AF and sadly I couldn’t get rid of the Sony half of the thread - DPR failure there I think - otherwise I would have. For a rubbish camera, my Z6 has paid for itself already, I’m in profit. By the way, whilst you’re there, I hear that the next Sony firmware update is a Sony camera duvet cover especially for you and your ilk - should match the Sony camera wallpaper and means that you can ditch the Spider Man cover after all these years. Maybe it might improve the desperate, infantile comments you make around here. @StevieF - what part of sony a7riii being in this video did you not understand? your silly comments claiming that it's a Nikon-only article indicate insecurity on your part. for example, I notice that you keep attacking sony, while failing to address the Nikon eyeaf failure at :49, that I brought up. MILC man - as usual, changing the goalposts. Where did I say it was a ‘Nikon only article?’ Tricky, considering that Sony figures in the video. Also, where have I attacked Sony cameras? If you look at my posting history you will find that I have acknowledged Sony’s developments in the mirrorless field - and still do as others late to the FF party will have to match it. As for the :49 bit, it may well be that Sony is ahead in the eye-AF and AF-C field - who cares? You do, patently, but I don’t - I have no interest in Sony cameras, I respect their advances, and I have no interest whatsoever their tedious internet nobodies. I recall you, and others of your ilk, in all the Z posts pre-launch - why were you there when it was nothing to do with Sony? Double standards. As for being insecure - I have been a photographer for 40+ years, I know equipment (it’s been my living) so my mental state is fine thank you. StevieF - "as usual, changing the goalposts." "- who cares? You do, patently, but I don’t"
another example of how you don't understand the importance and the functionality of eyeaf, and how you feel the childish need to dismiss what sony has accomplished with it... just another attack on sony. Your reply just shows the level of your discussion/debating skills. To say that I don’t understand ‘the importance of eye-AF........etc’ is of course the height of condescending arrogance. Why would I bother to debate the ‘eye AF failure at :49’, or whatever? If it makes you feel any better, Sony looks better at that point. Nikon should have entered FF MILC a few years ago - make you feel any better? Sony’s development of eye-AF is acknowledged - make you feel any better. But I’m not hung up on technical specs, all of that doesn’t matter. The main reason I dislike Sony cameras intensely is the handling/ergo - the first point of contact. And there’s no amount of references, links etc can change my mind on that. You have my permission to come back, I may or may not respond (doesn’t seem to be many agreeing with you above). @StevieF - "it was only a matter of time before members of the fully paid up Sony internet band of non-entities turned up with references/links coming out of their ears - they could empty a room at a party faster than a bad smell." your first post to this thread is a good example of your inability to engage in an adult intellectual discussion, and it proves that you feel this childish need to attack sony for no reason. Where do you see a pure "Sony article"? We're not responsible for the Sony-half of the video. I see a comparision between a new cam (Z7) and and older one (A7III). And *I* personally found the Nikon to be better in *overall* (for example: with the hand in front of the eye). Live with that opinion, it's a free world. Nobody dismissed what Sony has done, but you don't loose your face if you admit that the force is strong in Nikon at the moment. It seems that you have serious problems to admit that. @vscd - Where do you see a pure "nikon article"? the thread title clearly states "a7riii" right in it... so neither you nor StevieF gets to claim that it's just about Nikon, that is nonsense. I think the ‘adult/intellectual’ discussion went out of the window with your comment about me not understanding ‘the importance of eye-AF’. How do you know? Any comments about that, you seem to have ignored it? Where have I ‘attacked’ Sony cameras? My personal subjective opinion on the handling is just that, nothing to do with technical ability - everyone has their own opinion of every camera’s handling. I look forward to your adult/intellectual response. StevieF - "I think the ‘adult/intellectual’ discussion went out of the window..."
...with your childish first post to this thread, where you attacked sony owners for no reason. Where did I say it's a 100% Nikonarticle? It's the second time you claim something untrue like this on two different persons in this thread. It's a COMPARISION! 50/50. And I found the reaction *overall* better on the Z7. Don't worry, I don't even have a Nikon. Are you the same person as Cosinaphile, he has the same stupid answers with no arguments, getting personal very soon and ending everything with a "lol" at the end. Do you think that gives you more credit? @vcsd - Where did I say it's a 100% sony article? It's the second time you claim something untrue... what is the "sony-half" of the video? you are posting nonsense. see how you still can't address the Nikon eyeaf failure at :49? do you think that anyone is going to take your claims of the z7 being "*overall* better" seriously? it's further proof of your Nikon bias. Maybe we don't see what you see. The time you refer to has no comparision to the Sony, maybe the Sony would fail on this completely... we don't know. But I see that the eye is lost @0:33 on the Sony, while the AF-point sticks behind the hand on the Nikon. So, now what do you want to do with facts? I don't think that you will answer in a polite and objective way... that's the reason why nobody gives you an answer. Barfing dogs get no meat, you know. I have no bias on Nikon, never had as (mostly) Canonuser. @vscd - "Maybe we don't see what you see"
so at :49 in the video, you can't tell the difference between the small eyeaf square on the sony, vs. the big face detect square on the Nikon? lol, that is indeed hilarious. if you don't know the difference between the little square and the big square, why are you even posting to this article? or maybe it fits in with your failed claim in your first post, that "f2.8 is a bit easier", which applies to dslrs, not ospdaf, as I proved with the link that you still don't understand. 1. Show me where I claimed this was a ‘Nikon only’ thread. 2. I acknowledged the Sony eye-AF development etc higher up in this thread - you seem to have ignored that and bang on about the bit at :49 - I agree. Still no reply to your comment about me not understanding eye-AF. Or attacking others for ‘not understanding how cameras work’. Maybe that’s not attacking. ‘Z mount echo chamber’ is hardly adult/intellectual is it? I still see only one cam @0:49... do we have different timelines on the video? How do you know how the Sony performs in the same situation? The scenes before had no serious movement of the girl. Anyway, I guess everything was said in here. With no lol. I think in this particular test both cameras perform ~ the same but the Z6 is much more camera than the Sony a7III. Between those two the Z6 choice is clear. However, at the moment I am salivating over a used a9 for action to add to the D850 for everything else. the z7 ($3400) clearly has inferior af to the a7riii ($2800)… classic Nikon marketing; pay more, get less, but oh that's o.k. because it's a Nikon. So, you nag on 2 people for hours, getting personal with no reason and after all that you kind of admit that you are *WRONG* all night long with the timeline and don't even have the guts to say sorry. After that you jump right over to a totally unrelated topic like the price to deviate from beeing such a, sorry, moron all the time? That's priceless. We never spoke about square and little square because we never spoke about "0:39" until now... but you know, the good thing is you manifested yourself in the Internet with all your glory. I really think you are a fake-account of "cosinaphile" which does totally the same all night long. or is it just that you aren't capable of admitting that you were wrong to have not seen the z7 failing to acquire eyeaf at :39... while other people did see Nikon fail there, and they commented about it: "The video clearly show when camera is a far away from the model, Z7 unable to get eye but only face detection." Start at 2'29", still quite gap compared to the best Sony eye-AF especially if person is fast moving or from distance. Sometimes I see a commercial that is soooo annoying that I would never buy that product! MILC man does the same for Sony. Annoying like a neighbours little dog that just barks all day for no reason! Another Nikon article that the Sony faithfull (paid trolls) find themselves compelled (directed by Sony) to make comments (troll) in. "The video clearly show when camera is a far away from the model, Z7 unable to get eye but only face detection." When the subject is far the depth of field is more than enough to only need the face to make a very fine focus. Sony's system is actually more powerful but does not bring anything in these conditions. How about with 105/1.4 lens @f1.4? It's may not that far. @Nikonb - "When the subject is far the depth of field is more than enough to only need the face to make a very fine focus." if Nikon eyeaf fails there, it will also be weaker at closer distances. not sure why it's so hard for Nikon owners to understand that... I guess it's because they don't have any experience with eyeaf, and their platform fanaticism demands that they make excuses for inferior performance. @NexLupus - what I don't understand is why Nikon owners can't read the words "sony a7riii" in the the title of the article. what a sad display of platform insecurity. Nikon Z6 already has a better viewfinder, better build, better screen, better 4K, better weather sealing, better ergonomics, better menu system. After the upcoming firmware upgrade, Nikon will have CFExpress, eye focus, Raw 4K, improved focus tracking. So after the firmware upgrade, any possible reason/argument to buy a Sony will be gone!!!! I ONLY have 1 account MILC (ONE)...I don't need to hide behind multiple accounts like you and your fellow SONY employees do. So you are saying that you don't post on Nikon only articles? That is a bold face lie and absolutely demolishes any credibility you may have. @NexLupus - sony is laughing, and so are sony owners. z-mount doesn't have any lenses, and the 4k output is useless because Nikon doesn't have any video lenses, even in f-mount; Nikon was never a video company, and now they are pretending to do video. z-mount has banding issues, laggy viewfinder, no screw-drive af support, no Nikon milc crop format, simply awful af-c performance, and now weak eyeaf. Everyone and their mom has already shown that the 4K on the Nikon is superior...Even DPReview showed this in their video roundup. Nikon can mount over 300 lenses, and with the adaptor can use 98 lenses with native performance...you know, lenses like the 500, 600, 800, 200-500, 20 1.8, 28 1.4, 19PC, 60 Micro, 180-400, 85PC etc, etc...non of which Sony makes. You like apples? How about them apples? @NexLupus - you have obviously never shot video, or you would know that video lenses have specific parameters that still camera lenses do not have to match. Nikon as a company has no video history, so they know nothing about video, and that is proven by the fact that Nikon has no history of making video-centric lenses. it's unfortunate that you refuse to understand actual facts like that, but such is the nature of platform fanaticism. At least Nikon has a 500 that I can mount onto the Z6/Z7. You should take a look at the 500PF 5.6, it mutes beautifully with the Nikon Z cameras. Too bad Sony doesn't have anything like that. LOL, Nikon can also mount the Sony video lenses with an adaptor...So I guess there is no advantage to Sony video after all!!!! Hey MILCmuppet - how are you, you’re back, I was getting worried about you. I wondered if you’d been in some classes learning to tell the time - y’know, the difference between 49 seconds and 39 seconds. Have you, and how has it gone? Let’s face it, if you can’t tell the difference in the timing of a video clip when it’s on the screen in front of you, what chance have you got with the sub-par video performance of your camera? How did your Sony controller take your epic fail faux pas? Not happy I suspect as you’ve really gone to town with your posts above, although ‘LOL’ does show lack of creativity and original thinking - still, doesn’t matter with you as that ship sailed long ago. Anyway, I’ve had an idea which may get you back in with your Sony controller - I’m working on it as it’s to do with a left- handed camera and only Sony can fill the gap - must go now but I’ll be in touch to help you out. Bye for now - remember the ‘little hand and the big hand’ etc. @NexLupus yes such 500mm on Z7 only good for shooting static birds. I also can mount Sigma 500/4.0 OS Sport on A9 via MC-11 that is in a different league and AF-C tracking basically is quasi native and can shoot 15fps at the same cost actually as 500 PF. NexLupus - "LOL, Nikon can also mount the Sony video lenses with an adaptor"
lol, Nikon owners certainly need to be propped up with sony glass, since there aren't any z-mount lenses on the market. you be sure let us know how sony lenses work on Nikon bodies, o.k.? if you even own any of that gear. Dude, you were just talking about using Nikon 500pf cause Sony doesn't have any of the lenses I posted about...you even linked to a Fred Miranda post. @NexLupus - i'm not your "bro", i'm not a "dude", stop posting like you are 12 years old. yes, Nikon-z doesn't have any native lenses, not sure why you are having such a hard time understanding and admitting it. much less any gear that you actually owned yourself. you claimed that this was a "Nikon" article, when it clearly covered the a7riii as well. To your other points; it is true that Nikon does not have Cine lenses, it is also true that most people that use Sony cameras for video (99.9999% maybe) do not use Cine lenses on the Sony's. It is also true, that the Nikon Z cameras will now take the Canon, Sony, Leica Cine lenses, with adaptors. Something Sony users have been doing for years and continue to need to do since they still do not have the breadth of lenses that a real camera manufacturer like Nikon has, as YOU pointed out by linking that article...thanks BTW. I also noticed that you did not comment on my point (earlier) about you trolling Nikon only articles in the past. As far as BIF, here is an article by renowned wildlife shooter using the 500/4 and 200-500, (both lenses Sony does not make) that compares it against the D850 and D500; he noted that it wasn't quite as good as his D850/500 but it was not far off once dialed in...so far better than PWT claims. With regards to bro, dude etc, I will no longer give you the benefit of the doubt, and will now only refer to you as TROLL. @NexLupus - calling me names just puts you in good company, with the rest of the fake accounts. you still don't get anything that's been said here... for example, shooting video isn't just about cine lenses, because most video event work is done with powered parfocal zooms, which Nikon has ZERO experience with. and no, you don't have anything valid to say wrt the fredmiranda link, for all of the obvious reasons. more name-calling, and a video link that nobody is going to look at. Seriously, I wish all mirrorless brands would include a menu option that allowed the photographer to *choose* the colour and brightness of the focus indicator. I find little bright green boxes flashing all over the screen to be quite distracting! Interesting first comparison, and Eye-AF as incredible potential for some of my use-case, if coupled with fast and precise focusing, including non-static portraits. When I am doing portraiture at f/2.8 or even f/2 w/ FF and 85mm, with a shallow depth-of-field, it's extremely hard to be exactly in-focus by hand and even classical AF don't work as precisely as-needed when people is moving, turning their heads, laughing while advancing it, etc. What is a non-static portrait? I have been shooting portraits for over 20 years an I do not remember ever running into a non-static portrait. If they are moving around at an event it is a candid shot and using Eye AF would be a joke for that.